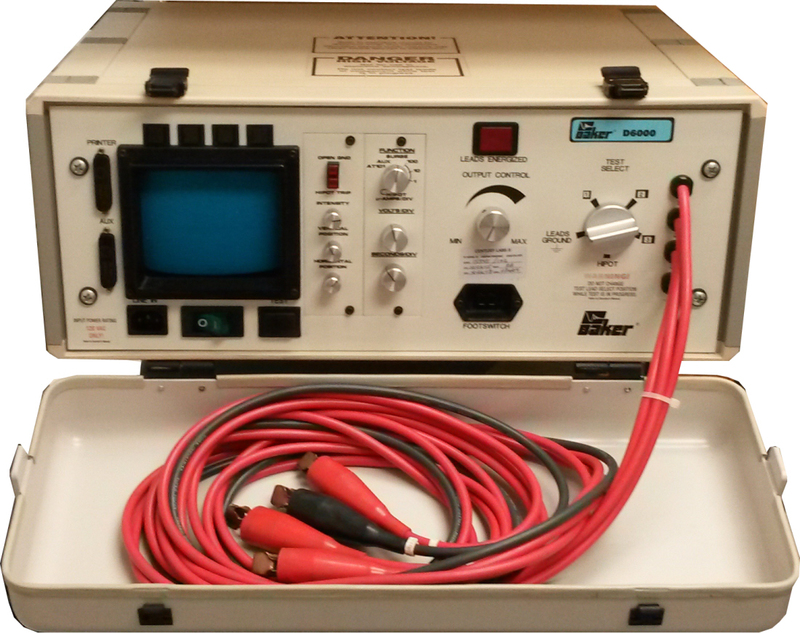 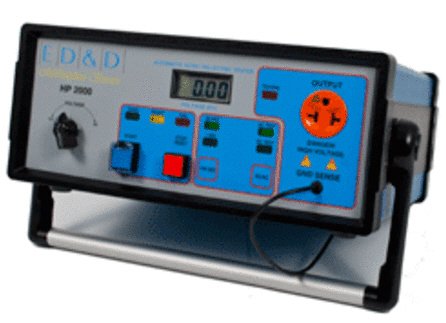 Baker D 6000 Surge / Hipot / Winding Motor Tester. 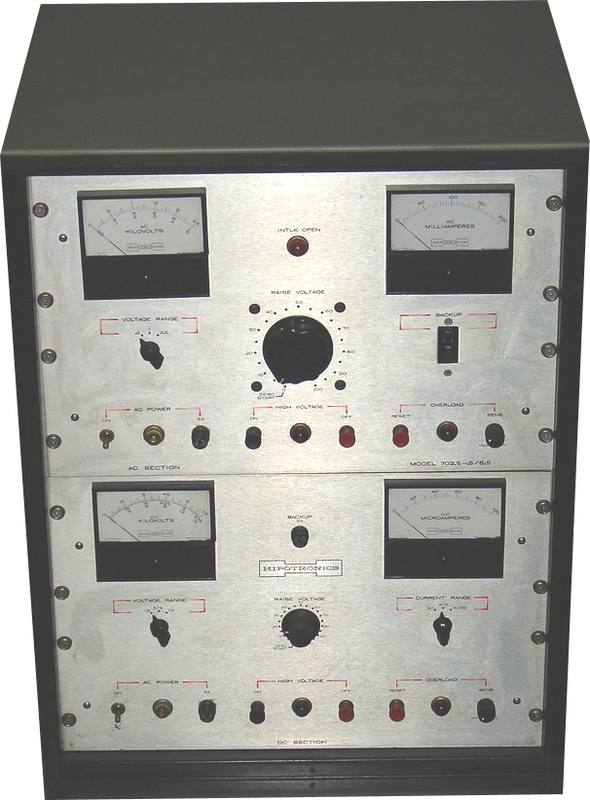 6 kV. 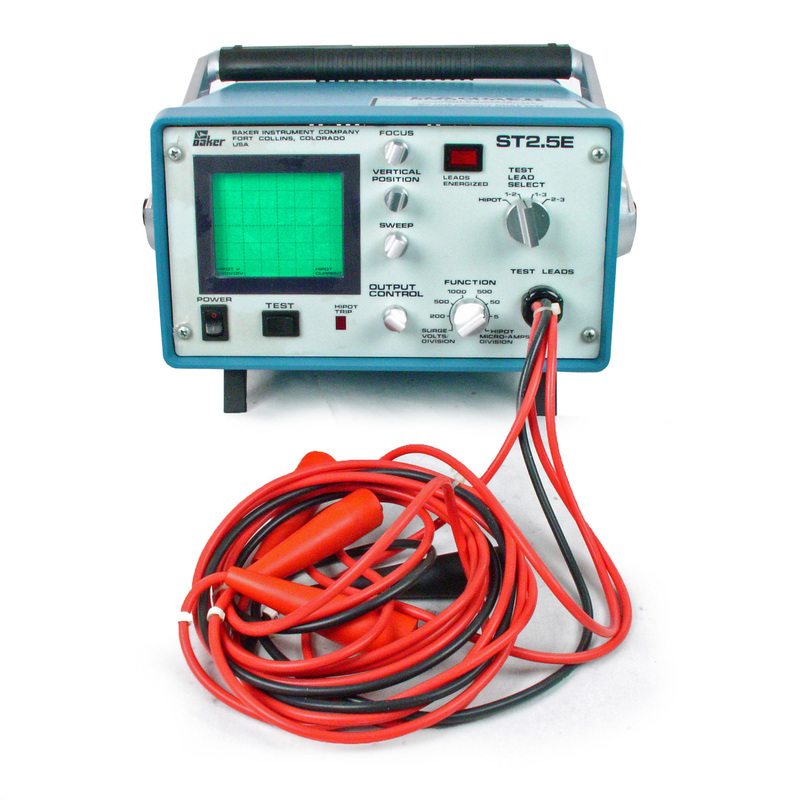 Baker ST103A ST103E Surge / Hipot Tester. 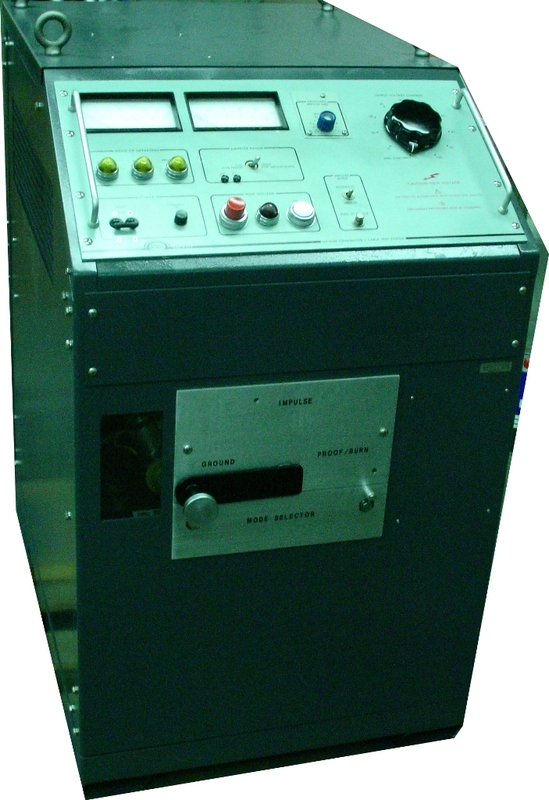 12 kV. 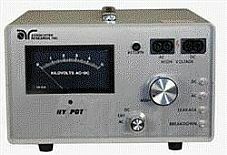 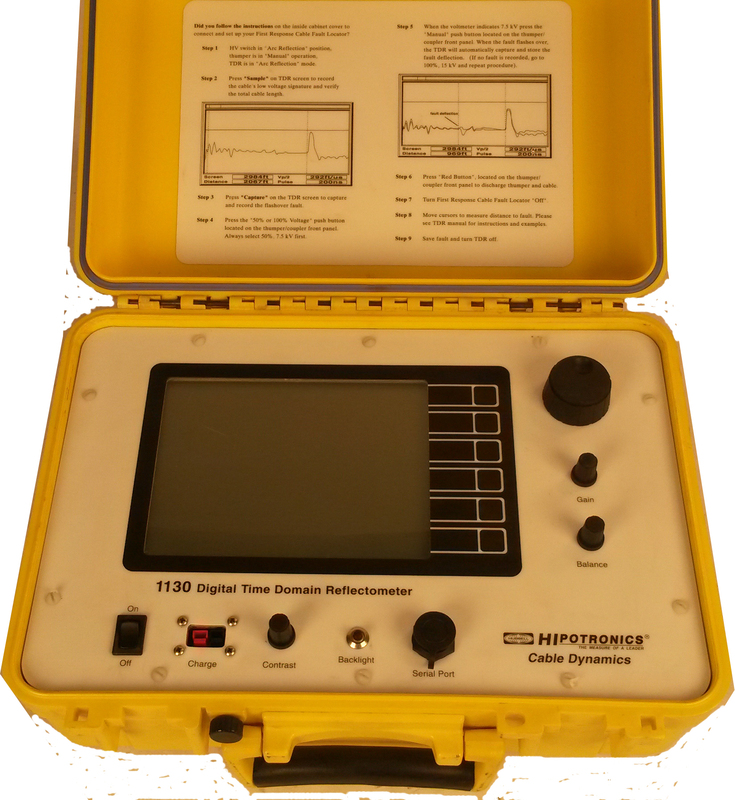 Baker ST112A ST112E Surge / Hipot Tester. 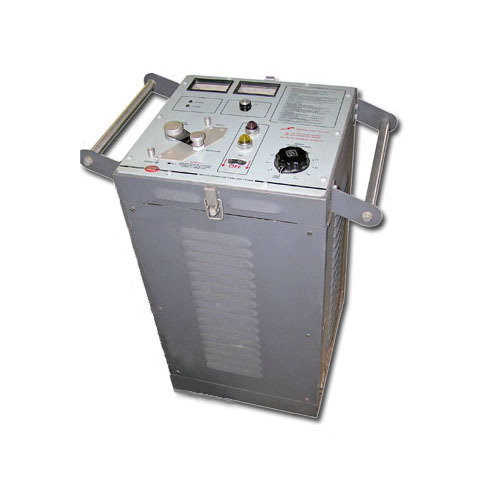 12 kV. 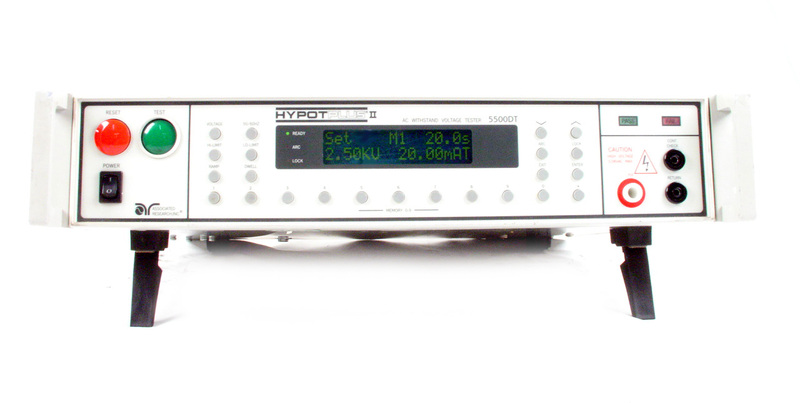 Baker ST2.5E DC Hipot / Surge Tester. 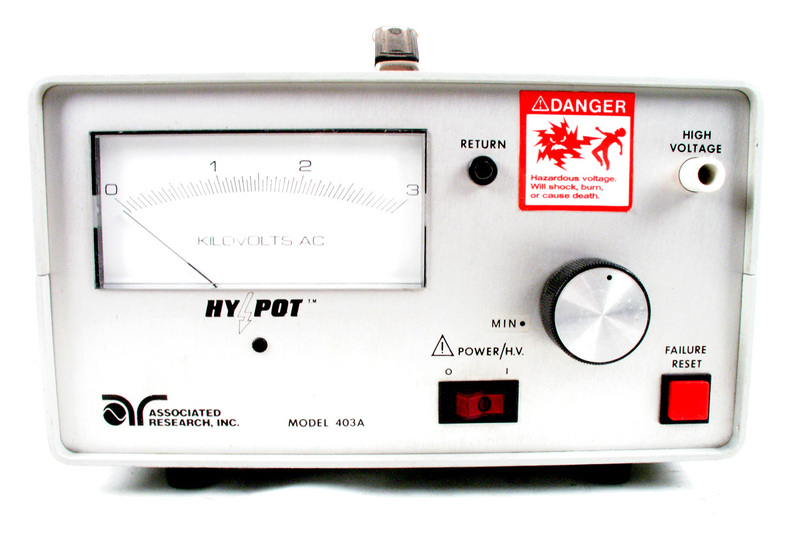 2.5 kV. 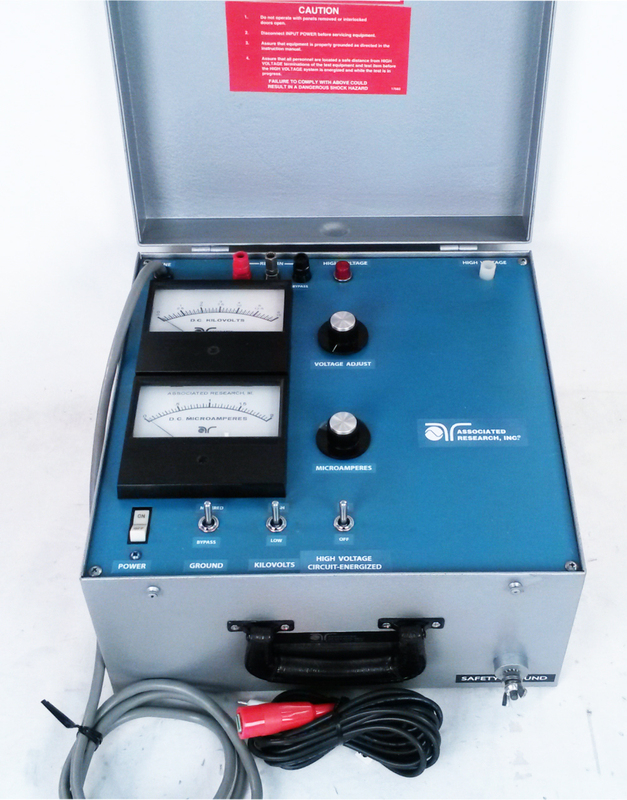 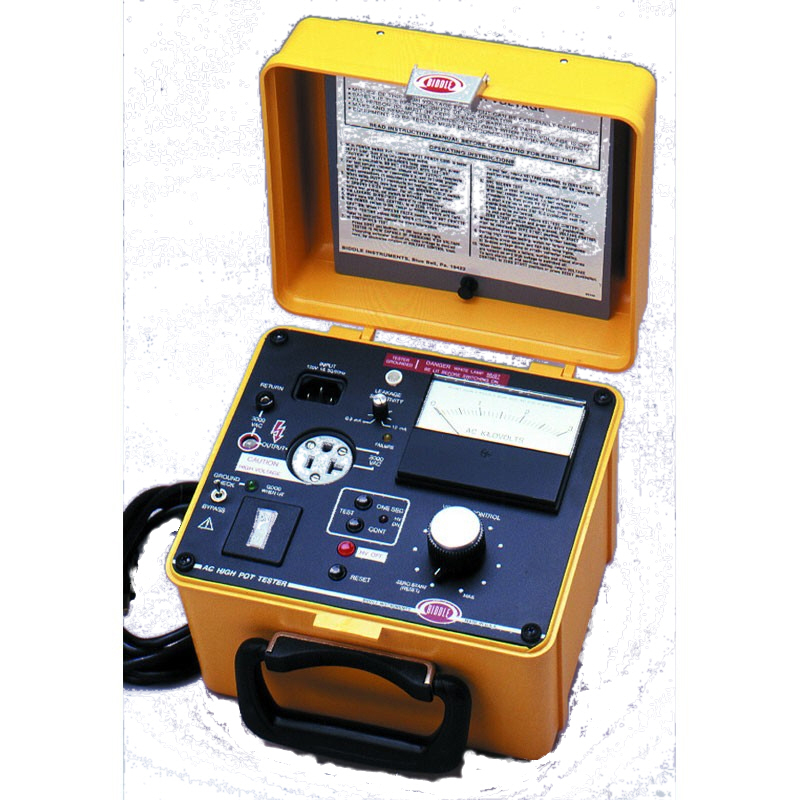 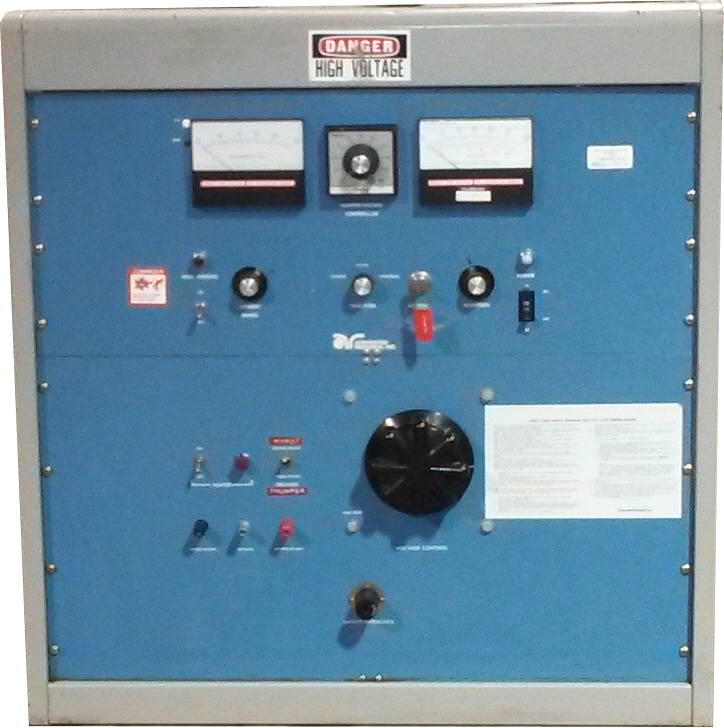 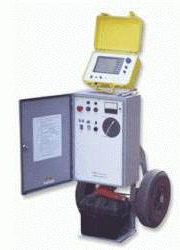 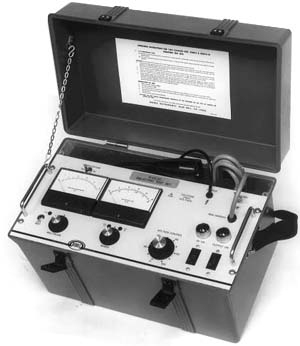 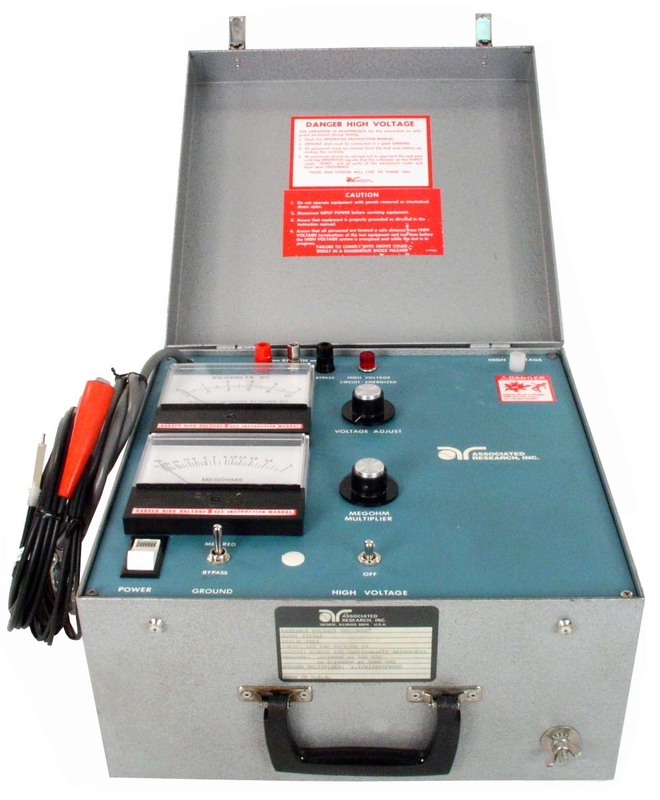 Biddle Megger 220015 15 kV DC Dielectric Test Set (hipot). 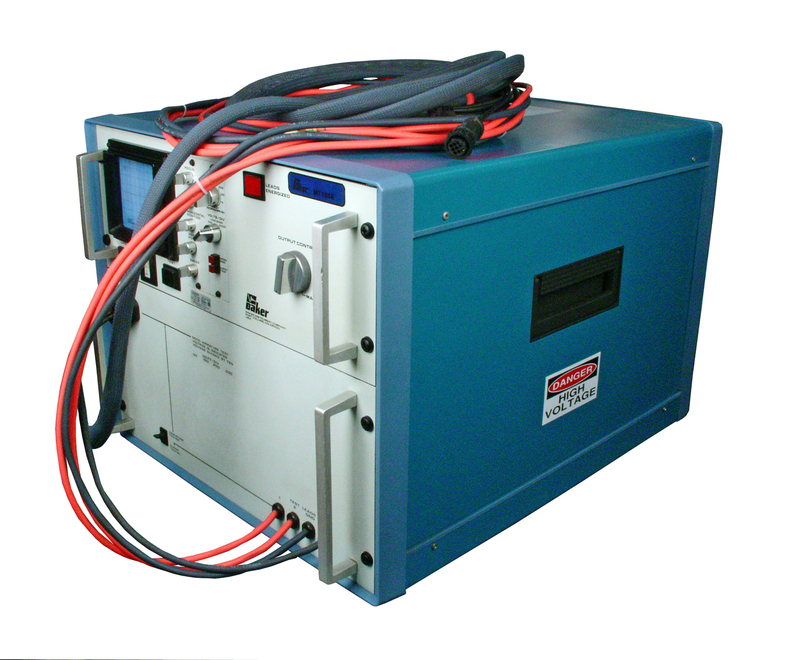 0-15 kV, 0-5 mA. 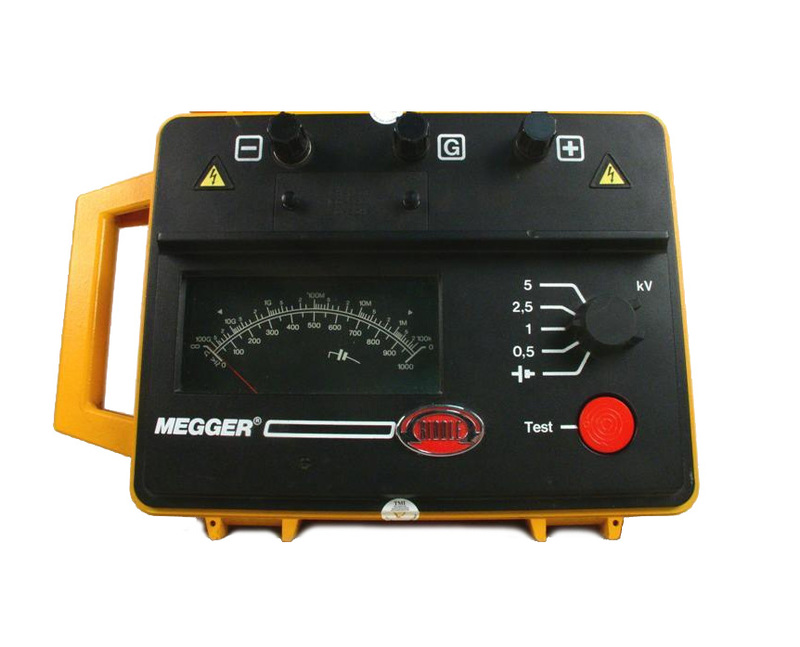 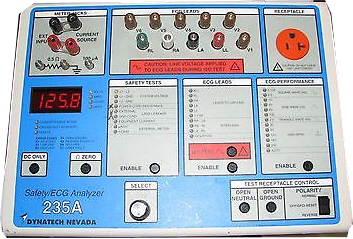 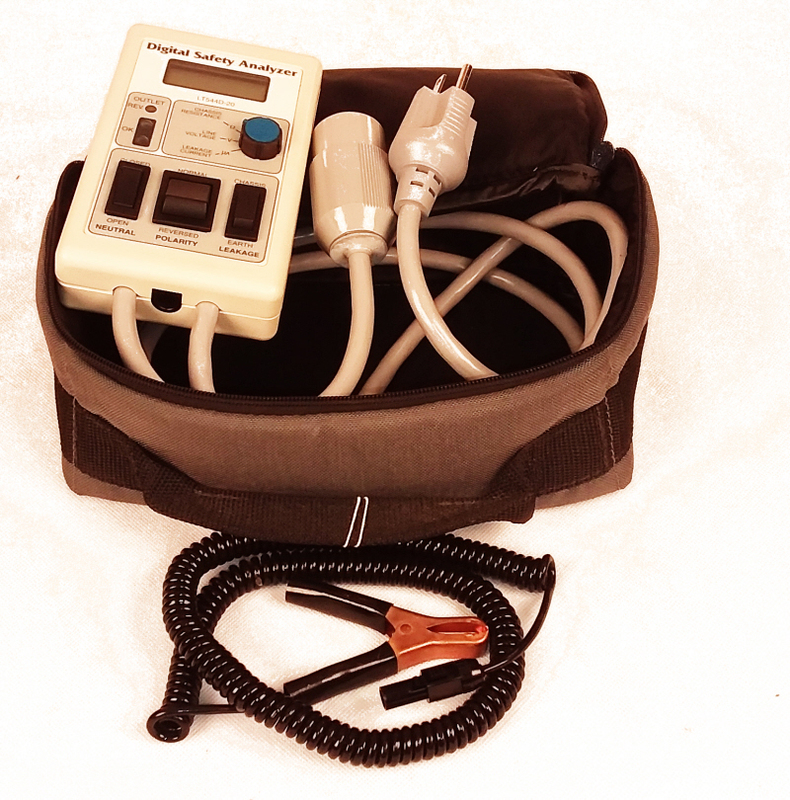 Biddle Megger 230315 AC Portable Hipot Tester. 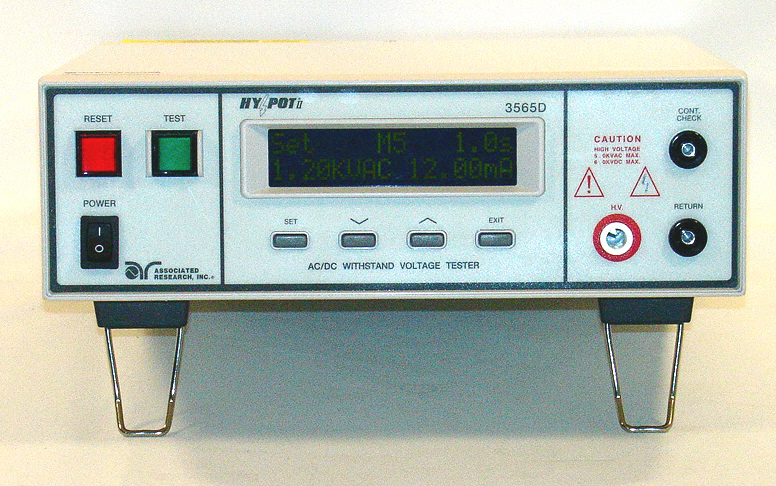 0-3 kV. 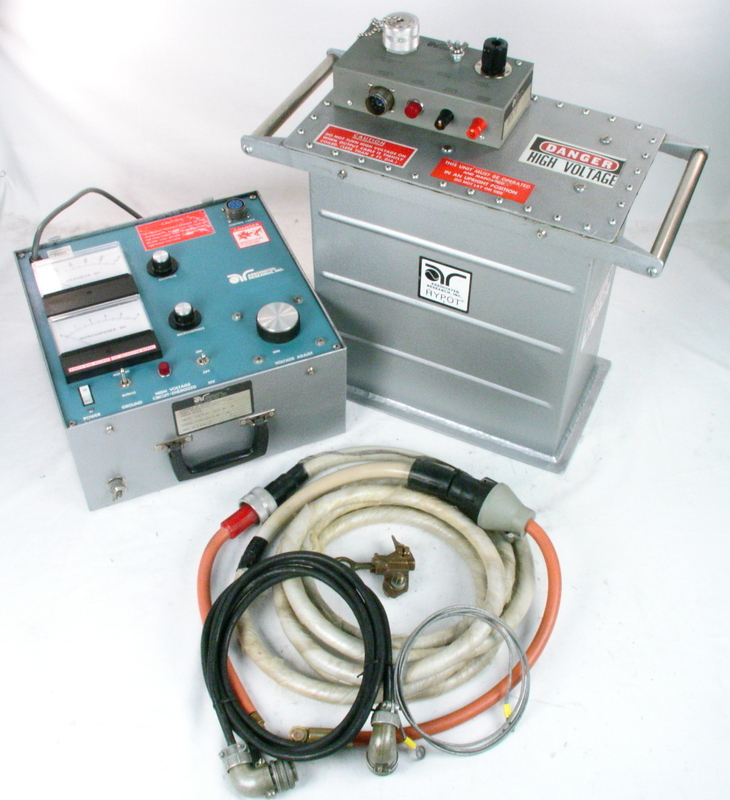 Biddle Megger 653031 Heavy-Duty Impulse Generator / Thumper. 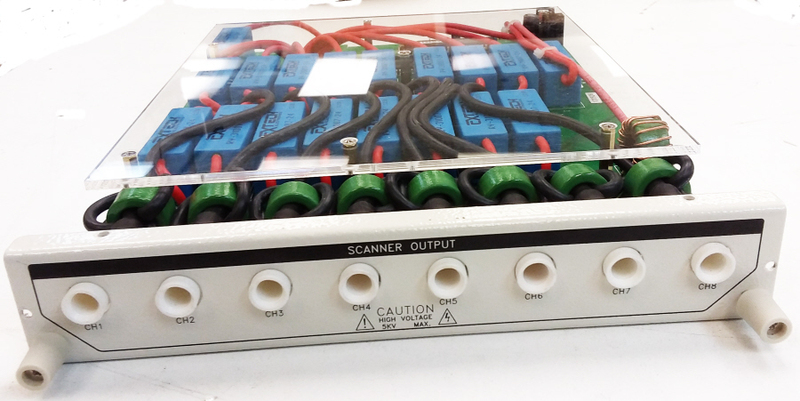 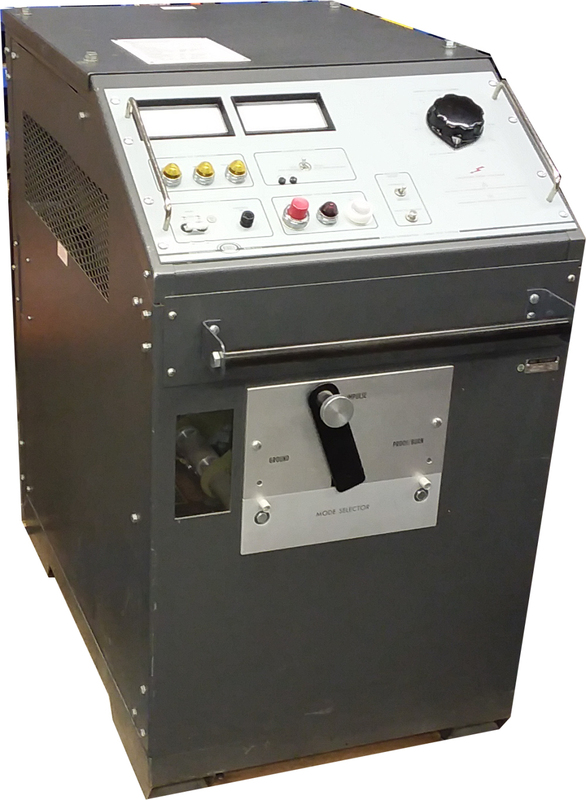 Up to 65KV proof / burn (100mA), 10,800 Joules intermittent Impulse Power. 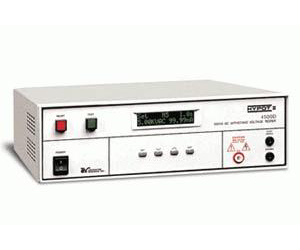 Chroma 19071 - 5 kV, 20 mA AC. 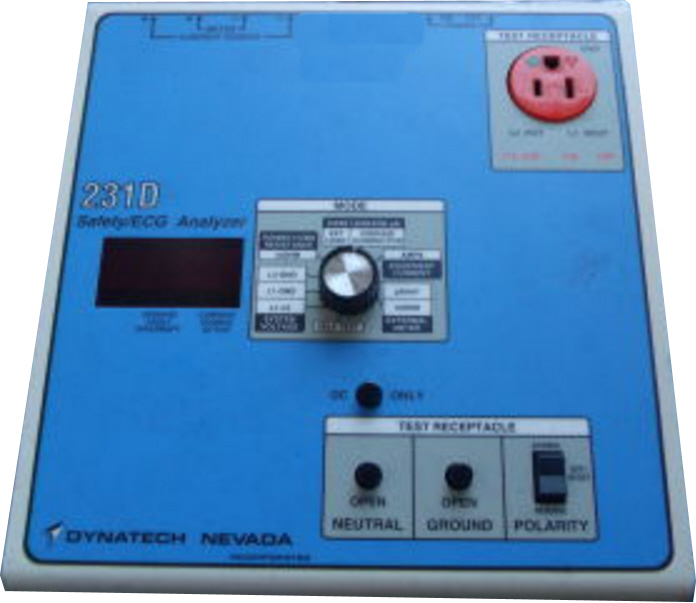 Chroma 19073 - 5 kV, 20 mA AC. 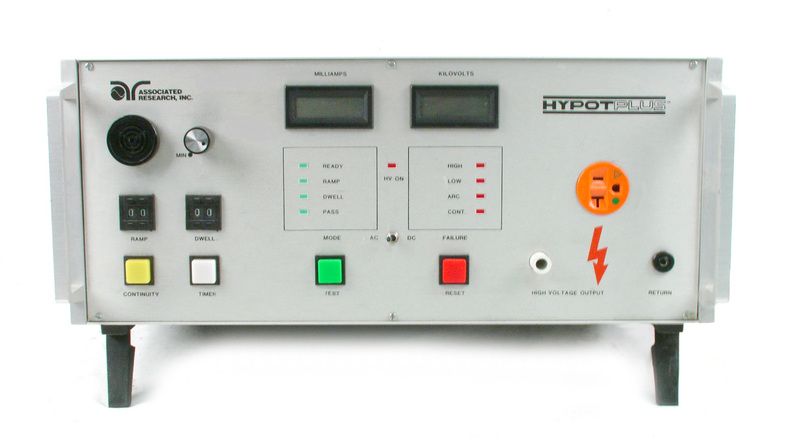 6 kV, 5 mA DC plus Insulation Resistance (IR) Hipot Tester. 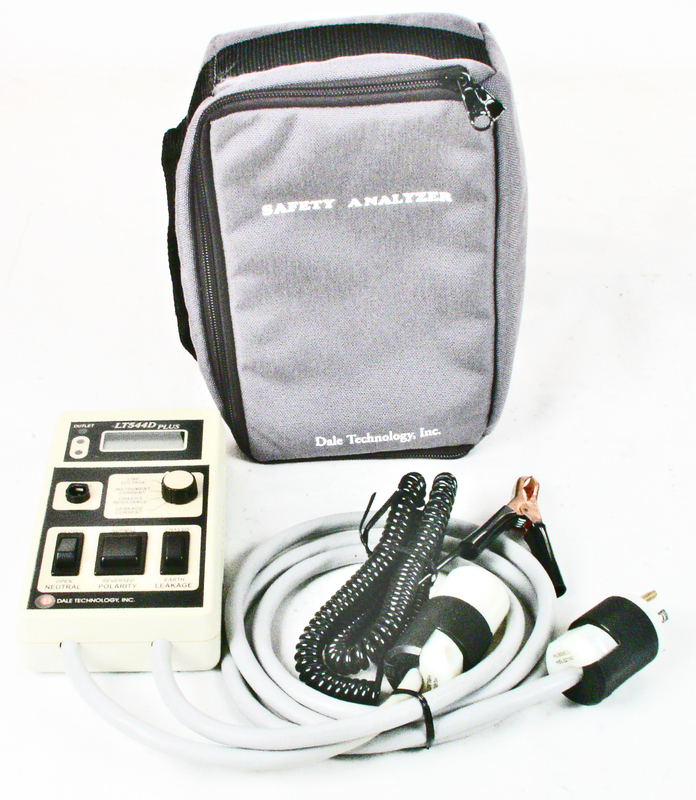 Dale Technology LT544D-20 Digital Safety Tester US, 120 VAC. 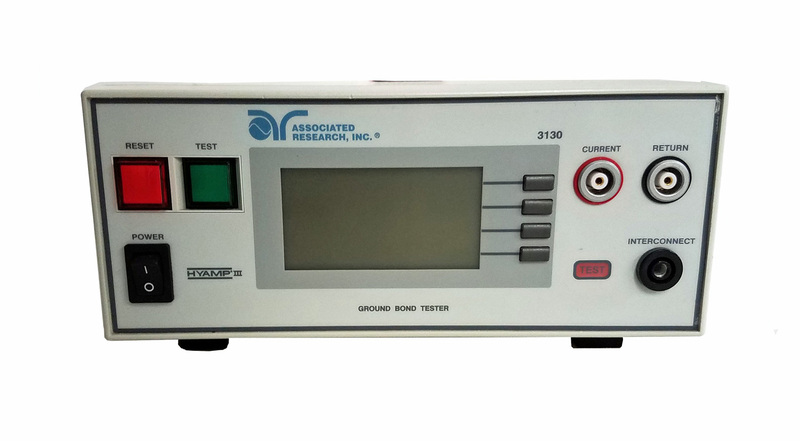 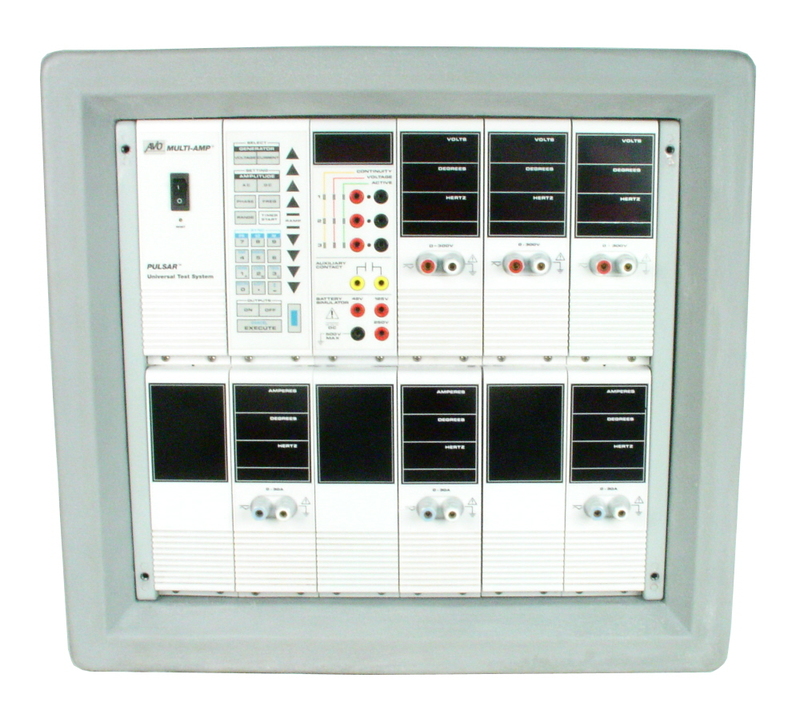 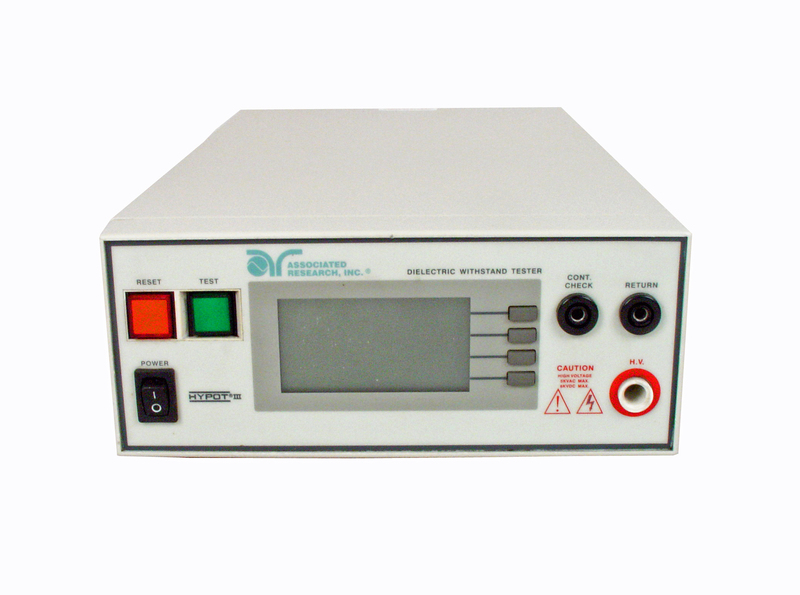 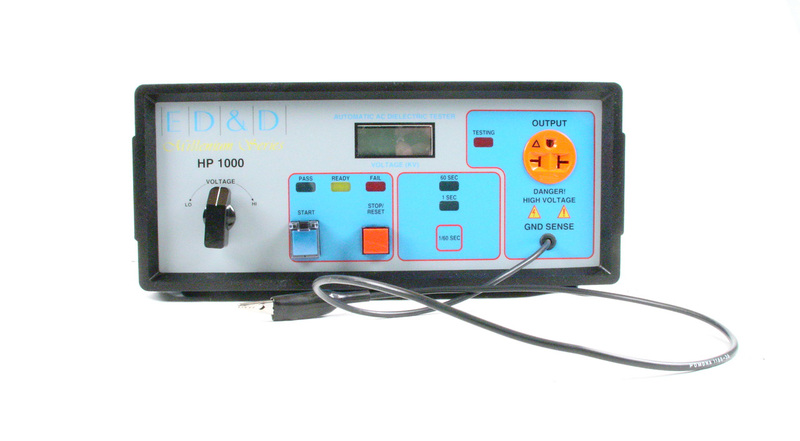 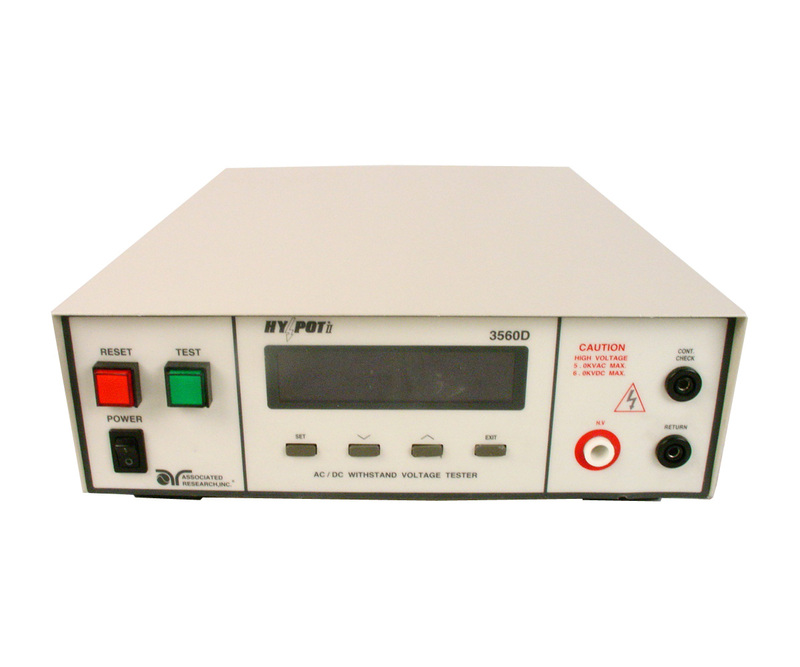 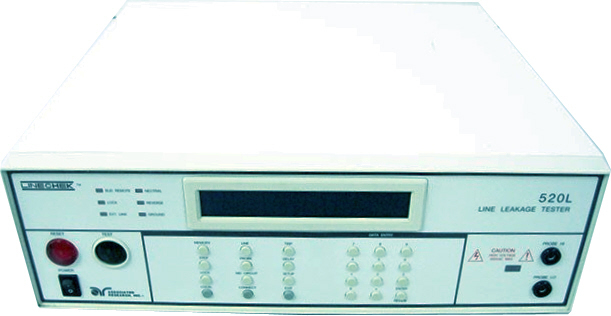 ED&D HP2000 Automated AC/DC Digital Hipot Tester. 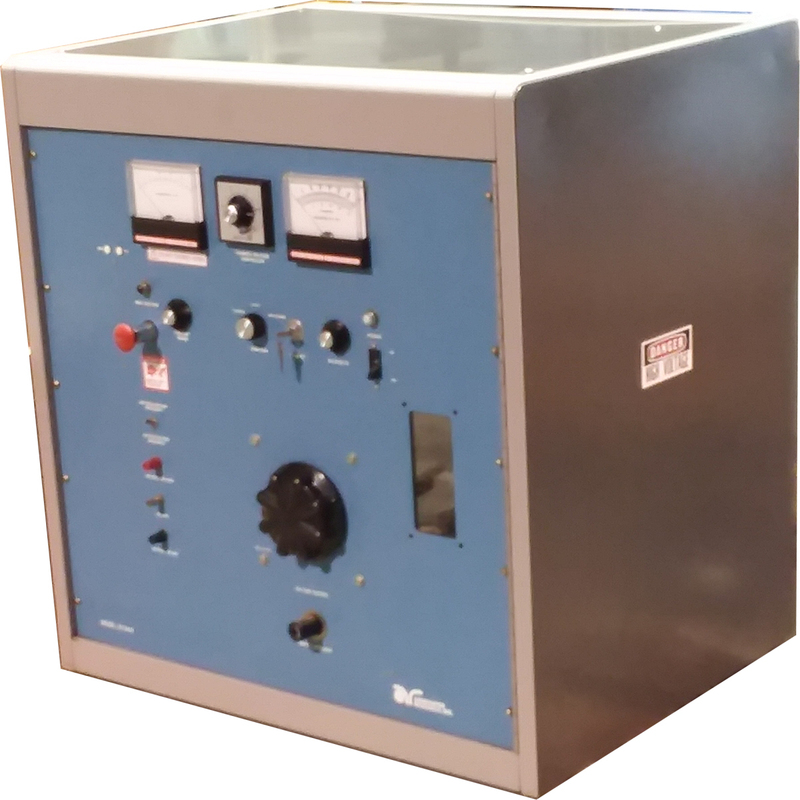 0-3000VAC / 4250VDC. 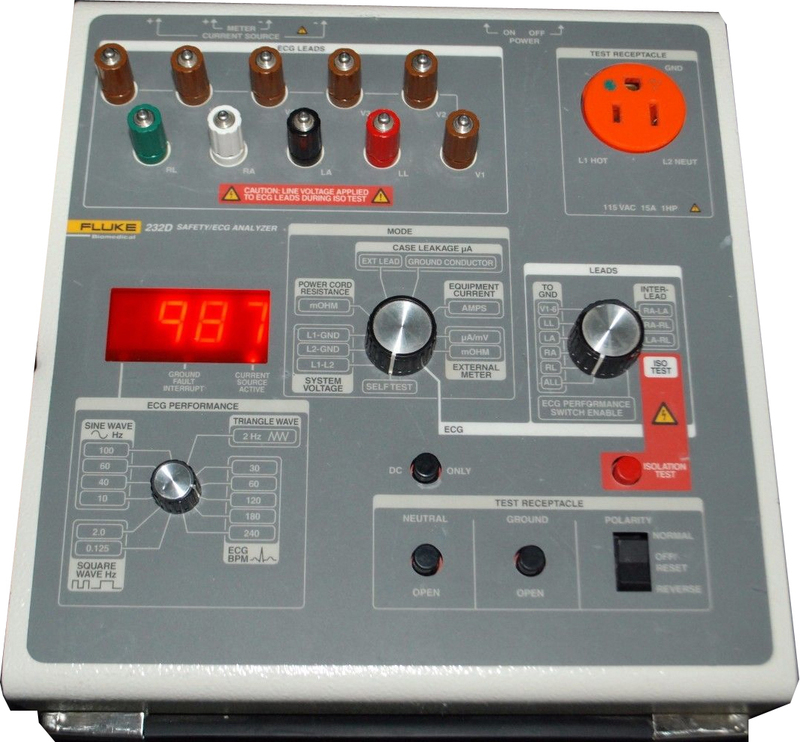 10 mA fixed trip current. 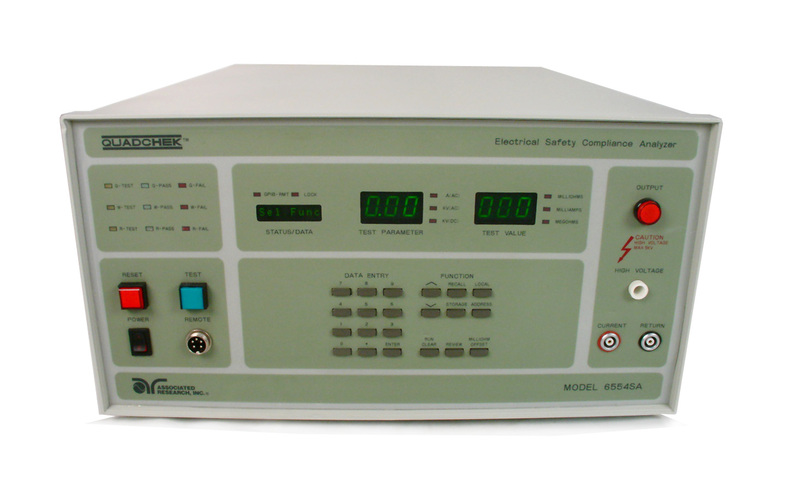 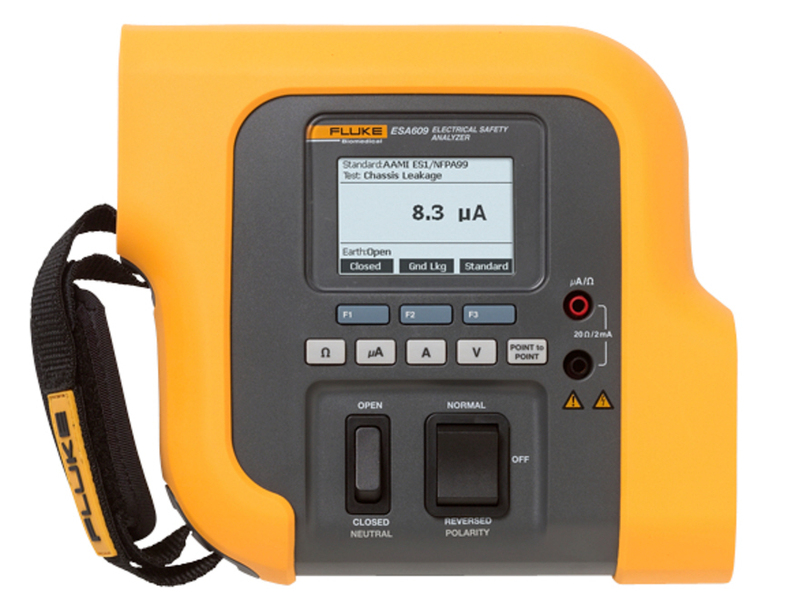 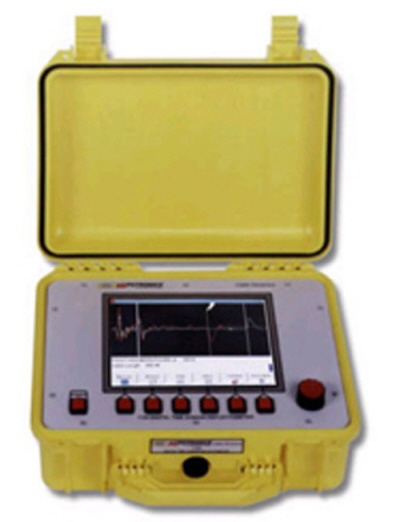 Extech 7440 Electrical Safety Compliance Analyzer. 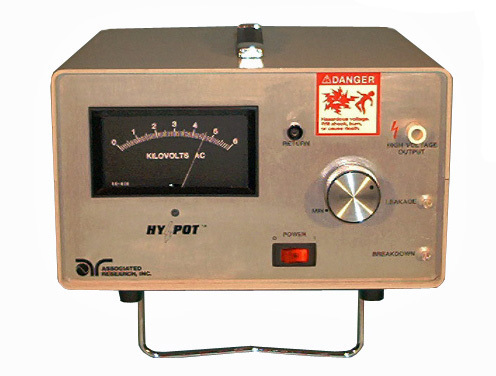 AC / DC Hipot, Ground Bond, IR. 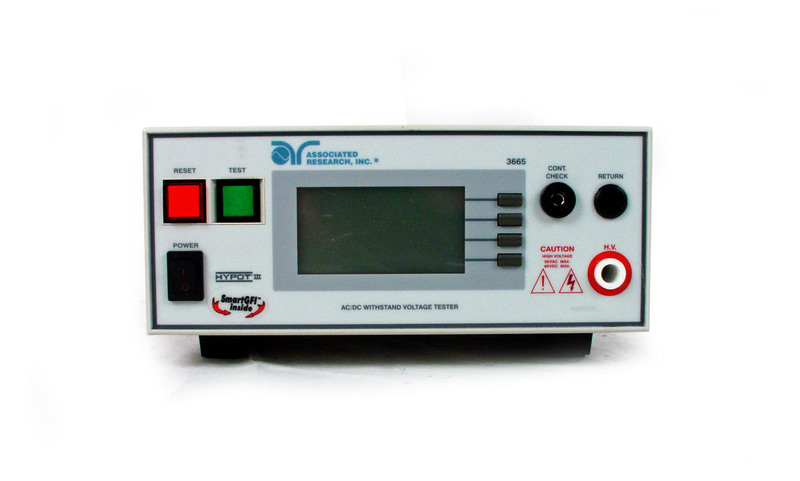 GW Instek GPI-825 AC Withstand Voltage Tester ( Hipot ) plus IR. 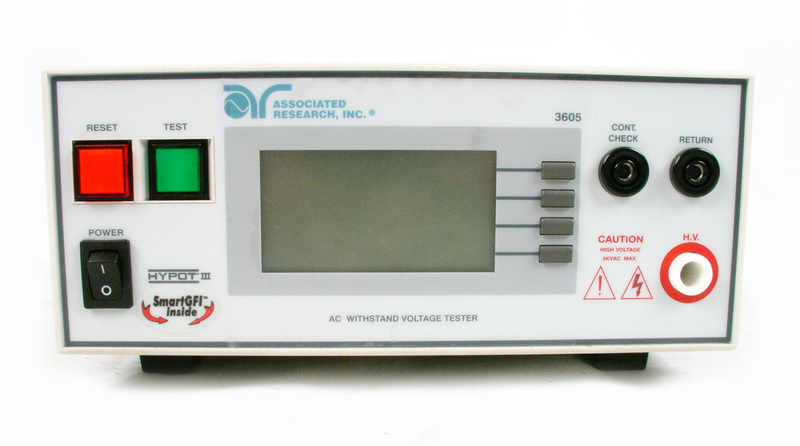 500VA / 0-5 kV / 100 mA AC. 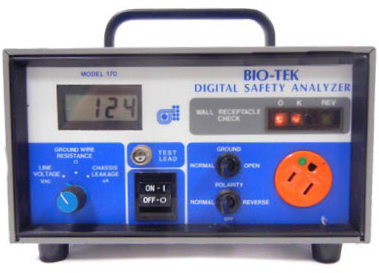 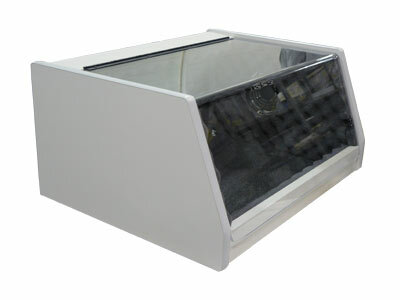 GW Instek GPT-805 AC Withstand Voltage Tester ( Hipot ). 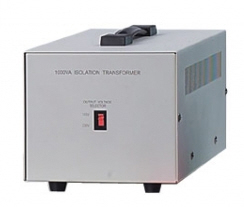 500VA / 0-5 kV / 100 mA. 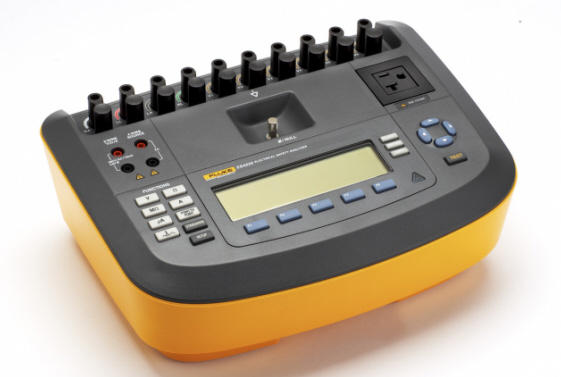 GW Instek GPT815 AC/DC Withstand Voltage Tester ( Hipot ). 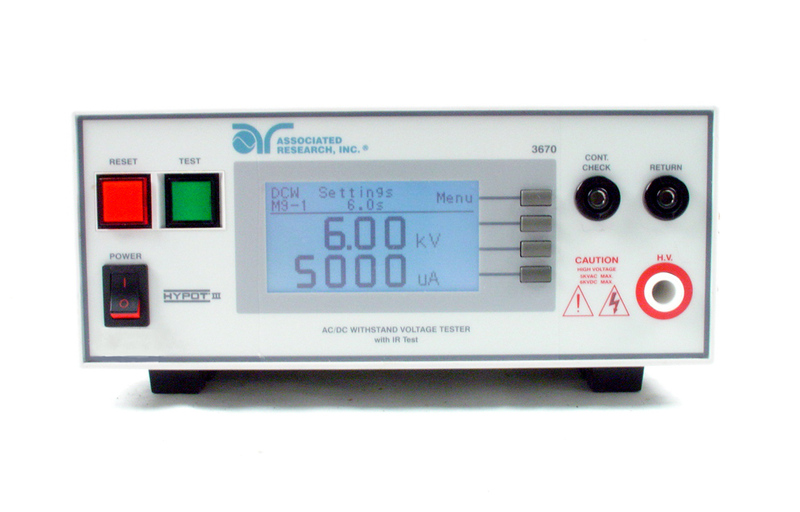 500VA / 0-5 kV / 100 mA AC. 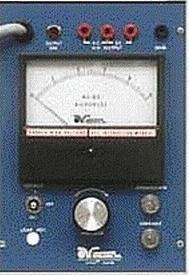 0-5 kV / 10 mA DC. 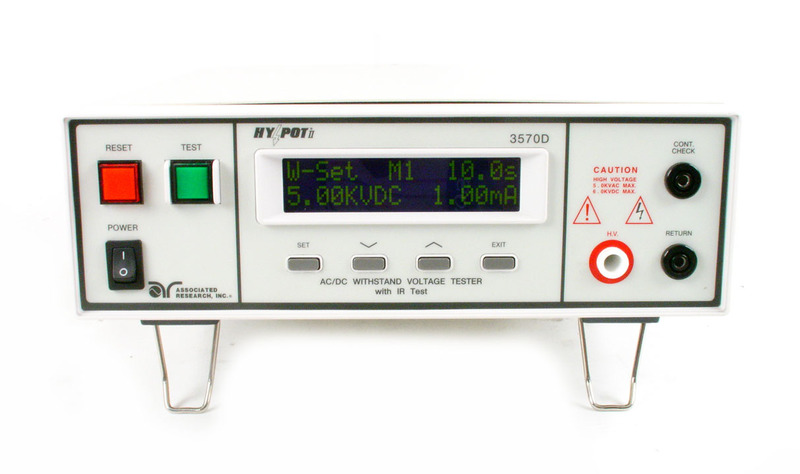 GW Instek GPT9602 AC/DC Withstand Voltage Tester (Hipot). 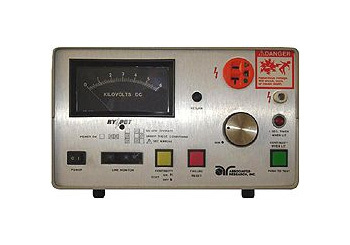 100VA / 0-5 kV / 20 mA AC. 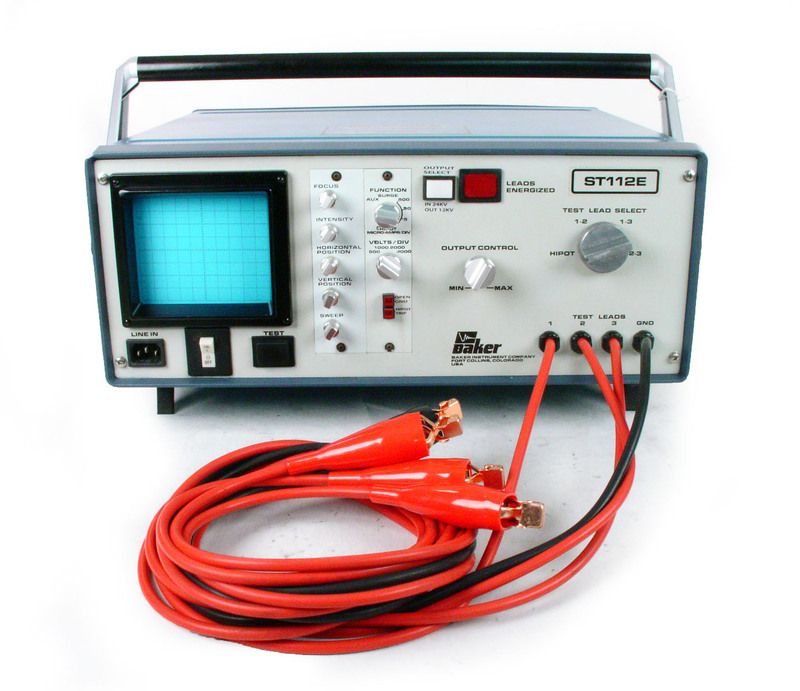 0-6 kV / 6 mA DC. 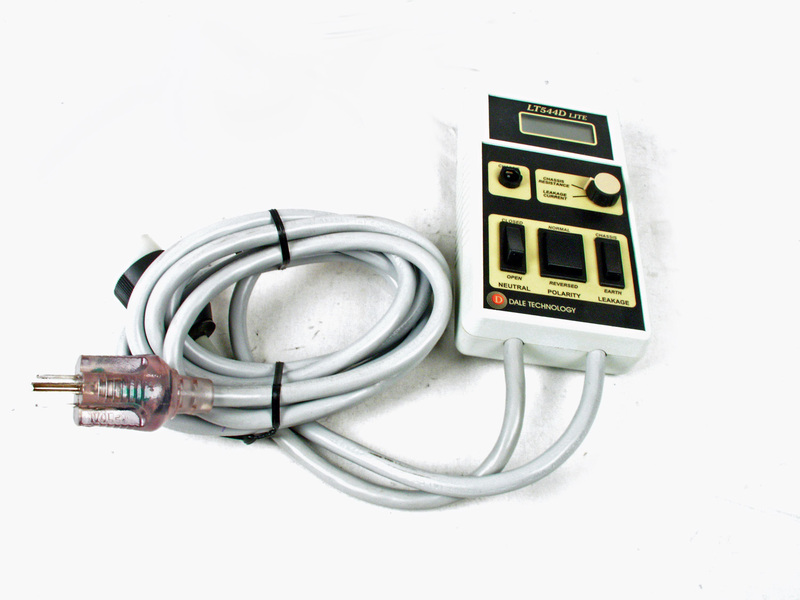 GW Instek GPT9801 AC Withstand Voltage Tester (Hipot). 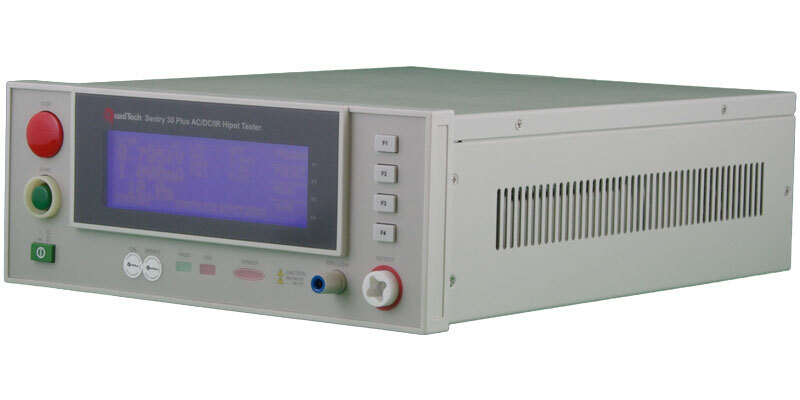 200VA / 0-5 kV / 40 mA AC. 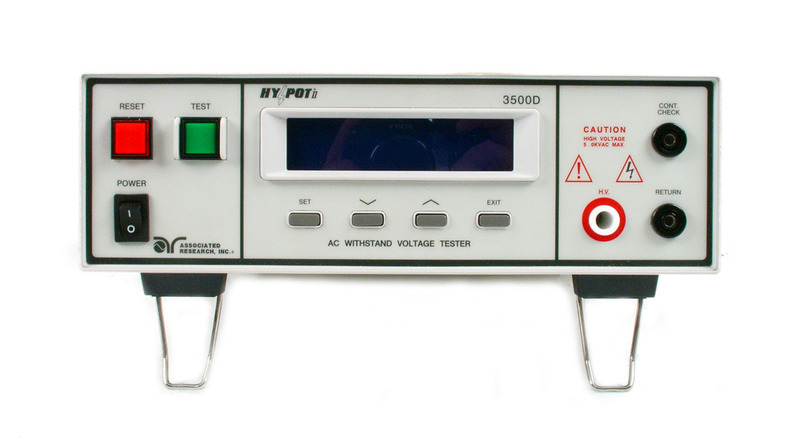 GW Instek GPT9802 AC/DC Withstand Voltage Tester (Hipot). 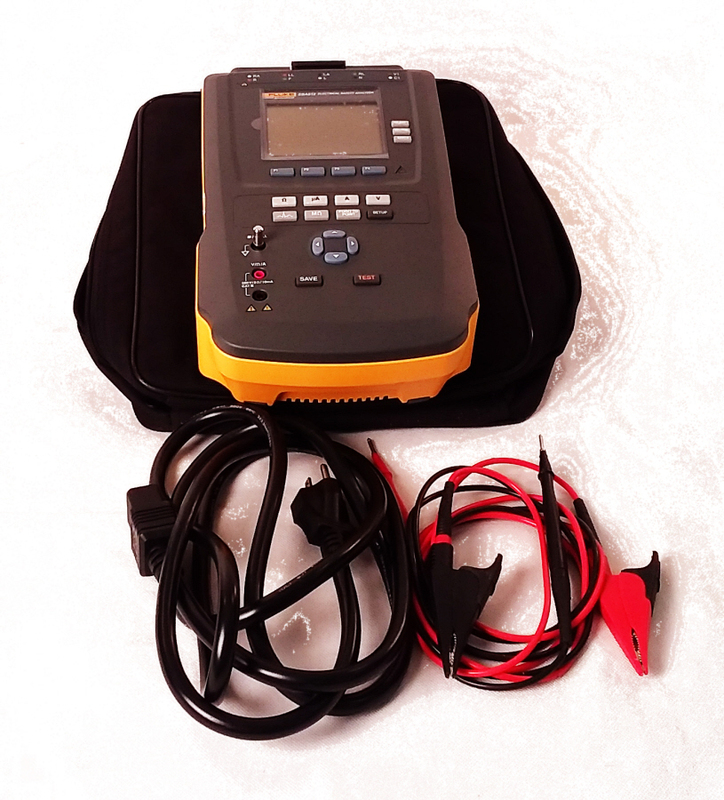 200VA / 0-5 kV / 40 mA AC. 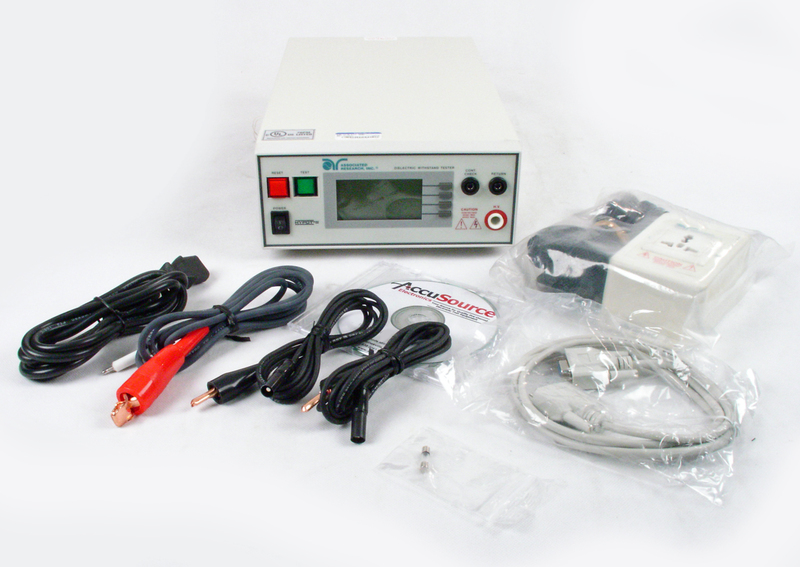 0-6 kV / 10 mA DC. 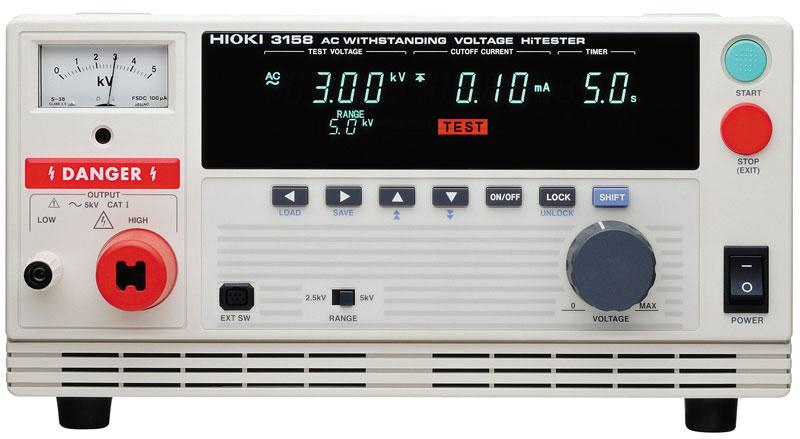 Hioki 3158 AC Withstanding Voltage Tester. 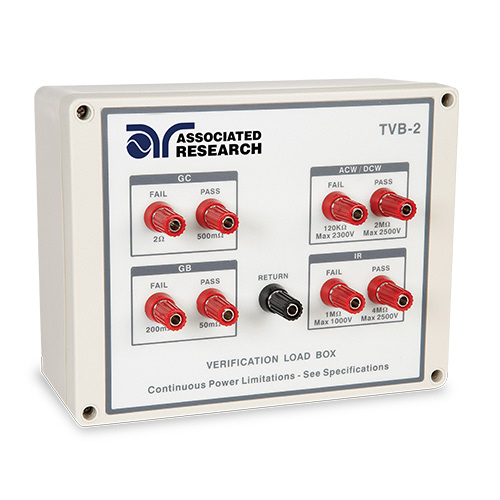 0 to 2.5 kV / 0 to 5.0 kV AC, dual-range configuration, Up to 120 mA. 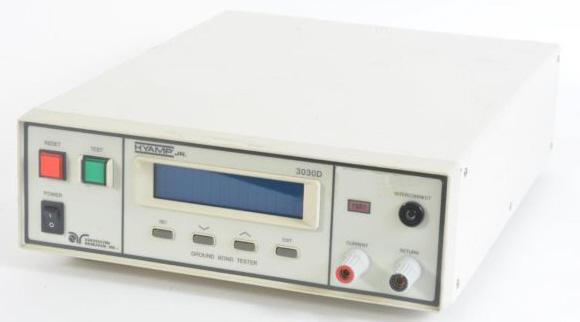 500 VA.